Diagonal House i Barcelona, Spanien : Boka nu! 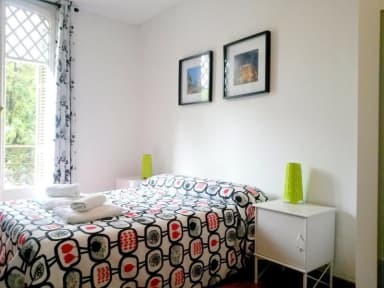 Young property in city center, we have every thing you need to enjoy your time in Barcelona. 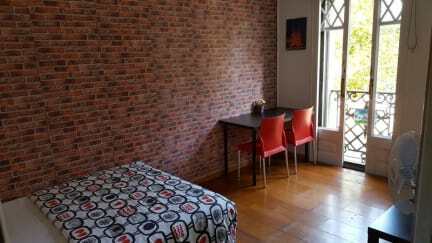 Only a 15 minute walk from the central square, Plaza Catalunya, and the famous Las Ramblas, our location can’t be beaten! We also provide our guests with outstanding facilities, a relaxed atmosphere and a knowledgeable, helpful staff. Also in the Eixample are numerous tourist attractions and city as the Basilica of the Sagrada Familia , Casa Mila , Casa Batllo, the National Theater of Catalonia, the Barcelona Auditorium, Plaza de Toros Monumental , Casa de Punxes and numerous cinemas, theatres, restaurants, hotels and other entertainment venues. Cancellation policy: 72 h before arrival. In case of a late cancellation or No Show, you will be the first night of your stay.